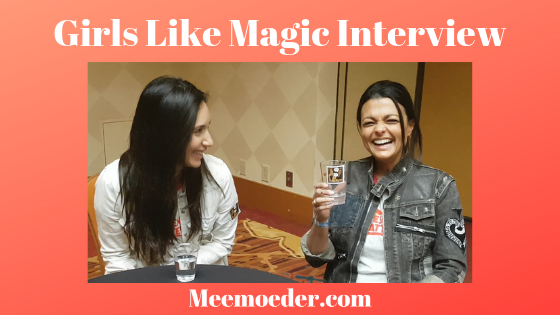 One of the most precious moments of ClexaCon 2019 is the interview I had with Julia Eringer and Shantell Yasmine Abeydeera, who play Magic and Jamie in a web series called Girls Like Magic. I loved watching this web series on the One More Lesbian YouTube channel and was sad to see the season end a few weeks ago. This interview was not planned at all. I had interviewed Julia for her part in the upcoming film Good Kisser and mentioned to her that I really liked Girls Like Magic. I asked her if we can expect another season and she told me Shantell was driving to Las Vegas in a spontaneous act. They wanted to talk about the fact that they would soon be releasing a crowdfunding campaign for season 2. That is how we ended up in this interview. Below are parts of our interview. If you want the full interview, I recommend the video that I added below this image. Girls Like Magic: teasing or waiting for the right time? Honestly, the interview went on for five more minutes, and something really beautiful happened. Writing it down would not do justice to the story. I recommend watching the video for that. Also, as of April 23, the team is holding a crowdfunding campaign for Girls Like Magic season two. I am so ready for that season, so I have supported the campaign financially. Can you do the same? Also, sharing the crowdfunding campaign (and this blog post) helps tremendously. This is the first blog post I have for you from ClexaCon. I am working very hard on the rest. I still have an exclusive interview with upcoming movie Good Kisser for you, which will come out next week. In addition, I interviewed Lily and Caitlyn, who are responsible for Twenty the Web Series. I am a big fan of that show too, so I was really happy I bumped into them and that they agreed to talk to me. Of course, press room interviews are coming up and the now traditional vlog/blog posts combinations. In the meantime, you can read some ClexaCon London blog posts if you haven’t already. At LoveCon’, Annie Briggs had a few minutes to talk to me. I was able to ask her some of my questions and some fan questions. As a result, we laughed about toilet paper, she learned about a Carmilla petition, and I heard about her new projects. Below is a part of the interview. You can find the rest in my video, which is embedded under this image. Annie Briggs: “It has been great. There have been some repeat faces, which is great, to see people again and obviously meeting new people is wonderful too. Annie: “Oh yeah, I think it makes so much sense. It is sort of the home base. Well, it’s interesting, because they say it’s the home base of Carmilla. It is where the creators and cast are based. But I don’t know, Carmilla and especially the fandom is so global to me. It feels like a global family in a sense. Annie: “Man, it’s so funny. That was definitely my life at that time. Careers develop in different ways for different people. There’s no sort of formula for how an actor navigates their own career and work experience. I will say that it’s a pretty universal experience for young actors. You spend the bulk of your time auditioning as opposed to working. Audiences only see the actors that make it on to the stage or on to the screen. To get there, they have been up to hundreds of other actors who have had to put in the work to go through the auditions multiple times and don’t end up booking it. Annie: “Honestly, if you’ve seen the show and you like it, share it with as many people. Still, on our season 1, getting as many views and shares and traction on it as possible only helps us show people that there’s an audience for this and that people want more. If you communicate that, it does help us to generate the finances to get the second season going. We were running out of time, but I did manage to stretch the interview a minute or two and sneak in two fan questions. Make sure to watch the video to hear those questions and answers as well as some other questions that I’ve asked. Also, watch her new short film Ruth. 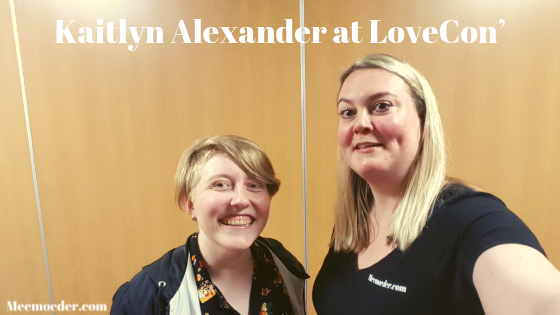 PS Have you read and watched my LoveCon’ interview with Kaitlyn Alexander? At LoveCon, Kaitlyn Alexander was kind enough to talk to me for about ten minutes. What a ray of sunshine they are! We talked about LoveCon’, CarmillaCon, Slo Pitch series, and Show and Tell. Below, you will find a part of the interview. If you want to watch the full interview, please watch the video on my YouTube channel. Kaitlyn: “I have a five-song EP, which is fun. It’s funny; one of those songs is eight years old. It’s Show and Tell; the video starred my girlfriend. It was actually written for my girlfriend back when we were only friends in university. That entire album is just songs that I wrote about her. She’s embarrassed about it [ laughs]. Kaitlyn: “Streaming services pay artists a couple of cents every time we play a song. With Bandcamp, the money goes directly to the artist. Basically, I paid every musician who is part of the album but the money that I make off the album is going to pay them more. I could not afford their full fee but I do want to make sure everybody gets paid. Kaitlyn: “Yes. Slo Pitch is a new series that is created by Gwenlyn Cumyn, Justine Nelson, Erin Carter, and Karen Knox. It’s a really cool, funny new series. We shot a trailer. It’s like The Office mixed with baseball; it’s great. Watch the trailer to support this new show! Kaitlyn Alexander and I talked about more things and they answered three fan questions, so make sure to check out the video if you want to watch the full interview. And don’t forget to subscribe to our channels if you haven’t already! Also, did you know that two days after LoveCon’, a crowdfunding campaign was created to get me to ClexaCon? It was fully funded in a week. I want to show my gratitude here once again. It feels amazing. Thank you so very much! I will be blogging and vlogging in Las Vegas for you in four weeks! This month, the 22nd edition of the Amsterdam LGBTQ Film Festival will take place. In Dutch, it is called De Roze Filmdagen. March 14-24, you will be able to see 44 feature films, 10 documentaries, and 84 short films from 48 countries. The festival opens with Carmen & Lola, a lesbian feature film from Spain. In this blog post, you will find my review. You will also find their social media accounts to support them online and to see when the movie will be screened at a festival near you. Carmen and Lola are two young women from the Roma community on the outskirts of Madrid. Like every other woman she has ever met, Carmen is destined to live a life that is repeated generation after generation: getting married and raising as many children as possible. Lola is supposed to do the same, but she is different, as everybody describes her. Lola dreams about going to university, draws bird graffiti, and likes girls. The two women fall in love. As a result, they have to face up to a culture where family honor and centuries of tradition are still very strong. I am divided in my opinion about Carmen & Lola, and I will describe why. 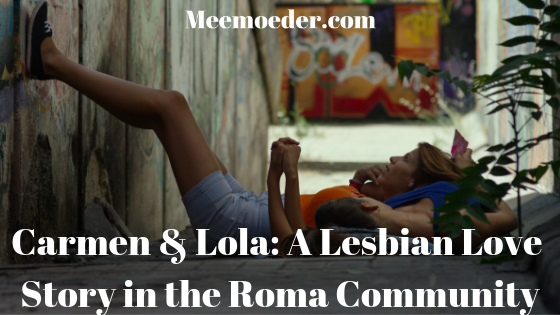 Carmen & Lola is a lesbian coming-of-age and coming-out story. As some of you say, we already have so many of these stories. We are not defined by our coming out. There is more to our lives, and I am sure we have plenty of other stories to tell, preferably ones that do not only center around our sexual orientation. That said, if you are in that stage of your life where you are struggling with your sexual orientation and coming out, a story like that of Carmen & Lola might be just what you need. It has all the classic elements. Is she gay? If she is, is she into me? If she is into me, what will that lead to? How will our families react? What do we do? However, if you are at that stage, a movie that shows a positive image of our lives as a whole might give you more hope than a movie that focuses on that one (possibly) big, scary moment. Let’s be honest, coming out continuous to occur throughout our queer lives. That said, if you get over that fact, Carmen & Lola is a beautiful movie. I was interested in it precisely because the story plays in the Roma culture. I had heard of it, but I had never really seen anything about it. This movie is brutally honest about this culture. It shows the good parts, and it shows the discriminations and lack of hope for a prosperous future the Roma people face. It also shows the traditions that seem very suffocating to me. I mean, it starts with two seventeen-year-olds getting engaged. They are not allowed to interact much with each other even though they both know they will be getting engaged soon. Then, the dads have to have this big talk about why this marriage would be good for the families and what the kids have to offer. Only after ‘the deal is sealed,’ the two see each other, fully dressed as if they already are getting married. It is quite the spectacle, and this scene could occur in one of my nightmares, I am not going to lie. At the same time, this otherness is what makes the movie so interesting to watch. However, let’s not forget about the actors. The entire time, I was wondering where they got these actors from. After all, they look like they could be Roma themselves. As you learn from the movie, career prospects for Roma women are not abundant. If they are lucky, they can become a hairdresser. So how did these people end up in this movie? After watching the movie, I learned these actors are indeed from the Roma culture themselves, and they are not professionals. However, there is nothing unprofessional about their performances! They are all so very good, and it made me so happy to learn about this opportunity for them. As said, you can watch Carmen & Lola at De Roze Filmdagen in Amsterdam. If you are unable to attend, you can best follow the movie online to see when it will be screened at a film festival near you. They are active on Facebook and Instagram. Are you going to De Roze Filmdagen? Please also watch The Date, Rafiki, Cassandro, the Exotico!, Dante vs. Mohammed Ali, Yulia & Juliet, and Vlam! BiPositive Podcast Interviewed Me. This is What We Talked About! You may know that I occasionally get to interview interesting LGBT+ people and allies on my international con trips. Well, a while back, I was interviewed myself, and that was a refreshing experience. It is funny to be on the other side. Mari and MD invited me for an episode of BiPositive Podcast. Thanks for the invite and the relaxed conversation! Fun fact: we are all living in The Hague, and we were all at ClexaCon London, but we didn’t know about each other. We found out about it on social media afterward. So, this is the first time we met! In this blog post, I will highlight some of the subjects we discussed. As we talked for about an hour, this is only a small part, and you should definitely listen to the entire episode! 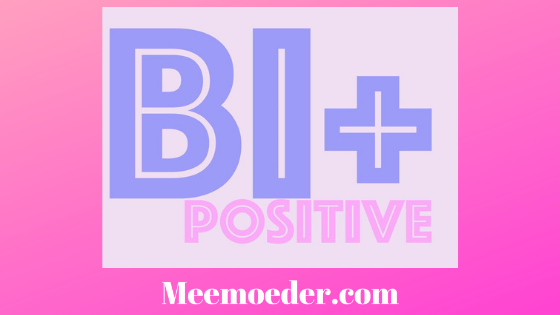 You can follow BiPositive Podcast on Twitter, Facebook, and Instagram. You can listen to the episode on a bunch of websites, including iTunes and SoundCloud. Below this image is also a vlog about our podcast episode together. I think most of my followers abroad know me from my LGBT+ con trips but have no idea what meemoeder stands for and why my website is called this way. It was indeed the first question I was asked. Simply put, meemoeder is the word the Dutch government gives the non-biological mom of a married lesbian couple that has a kid together. When my wife was pregnant, I was looking for experiences from other lesbian moms, but I could not find any. I could only find info from the government and lawyers. Also, at almost every parenting blog, I was addressed as a father, which started to bug me after a while. So, I started to describe my own experience (in Dutch) so that others would not end up in the same situation as me. This is my way of giving back to the LGBT+ community. I am now one of the first search results, which means others can find me easily. I noticed I always somehow ended up talking about movies as they are one of my passions. Then, I saw videos of the first ClexaCon edition on YouTube, and I received a press pass for the second edition. That’s how this whole English version of my website and my YouTube channel came into existence. Funny how things sometimes go, right?! Mari and MD wanted to know how it feels to be a lesbian parent among other parents. Thankfully, most of the time, there is no difference. I do remember two incidents when things were different for me. One funny situation occurred at Schiphol Airport when we were taking a trip to the U.S. and Canada when our son was eleven months old. We did not even think about bringing his birth certificate. That caused some problems when we tried to leave The Netherlands. The border control told us that they could not see if he was our baby. We were finally allowed to go on our trip by saying he has my wife’s looks and my last name, and that we were both wearing the same wedding rings. We were pretty scared when we crossed the American-Canadian border that trip, but nothing happened, fortunately. One not so funny situation occurred a while back. I had an appointment somewhere and what often happens during such an appointment, is that you start talking about your family. You know the type of appointments, like at the hairdresser. This woman started asking how we got our son, and I explained. Then, she started calling him my wife’s son, and I constantly had to say ‘our son.’ And it’s not like you can leave the appointment halfway through, so it’s just awkward all around. I don’t know why but I started showing her pictures. Then, she started saying things like: “Oh yes, he really looks like her. Oh, that’s really a momma’s boy.” It hurt me, but I still have no idea how to respond. I did turn it into a Dutch blog post. Mari and MD also wondered if we were worried about a social stigma for our kid before my wife became pregnant. I answered that we still are. I guess we’ll find out when he goes to school. Right now, at his daycare center, it is no problem at all because toddlers don’t know any better. We are hopeful that things are better for him now than they were for me growing up. I think there is a change in how kids deal with homosexuality nowadays. Therefore, we hope his teenage years will be okay. The one thing that we try to teach him is confidence. If you have confidence, you can speak up or fight back when something bad happens. If nothing bad happens, well great, you have confidence. I focused on the lesbian parenting part in this blog post as it is something I rarely talk about on the English version of my website. I thought it would be nice to give you my ideas on this topic for a change. We talked about plenty of other topics. As Mari and MD are from Ukraine and France, we talked about the differences in our cultures and in how safe we feel being queer. Naturally, ClexaCon and queer representation in media came up. SO, I encourage you to go to iTunes or SoundCloud and to listen to our episode of BiPositive Podcast! As you may have read last week, I visited Kat Barrell’s panel on Saturday as well as the I have a que(e)ry panel. 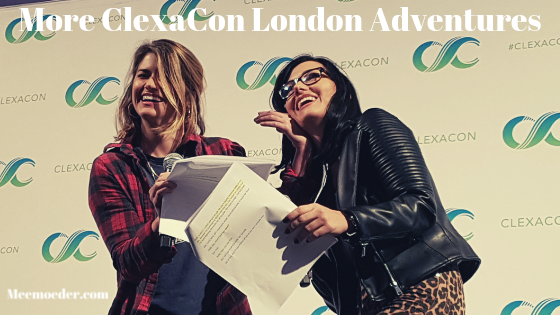 In this final ClexaCon London blog post, you will read more about my ClexaCon London Adventures: all the interviews I had and the panel by Natasha, Elise, and Annie. It also helps to watch the video below this image because it allows me just a bit better all the things that have happened. Also, please don’t forget to subscribe to my YouTube channel. That afternoon, we had a press moment with Jamie Clayton. I absolutely loved her presence. I’ve said it before but what an energy! I’ve learned quite a lot even though her interview was only 15 minutes. You can read about it here: Jamie Clayton (Sense8) talks trans representation at ClexaCon London. Also, you can watch the video below. Dana Piccoli moderated the panel by Natasha, Elise, and Annie. First, it was just Natasha and Elise. As always, Dana had a fun idea for them to act out. On previous panels, she made them act out scenes from famous movies. This time, though, she wrote a Hallmark-inspired holiday movie called Boughs of Holly. It always makes me laugh to see Elise and Natasha’s face right before she announces what she will make them do. Can we make that movie happen?! Then, Annie joined and it was fun to see how dynamics change when there are now three people being interviewed. Right after their panel, we had to return to the press room because Natasha, Elise, and Annie were coming for an interview. As I expected, ClexaCon London turned out to be Annie’s first con. I thought she brought some interesting insights to the table. For instance, she reminded us that it takes a lot of time and effort for actors to work on their craft, training and auditioning in between projects, which we as an audience don’t always know about. We just see them on the screen when they are working on a job. You can find the interview here: Natasha Negovanlis, Elise Bauman, and Annie Briggs visited ClexaCon London. Also, you can watch the video below. After this interview, I took some time to record some vlogging footage. That meant I headed to the main panel room for Jamie’s panel a little late. When I walked to the panel room, I saw that the autograph lines for Natasha and Annie were a little slow. Apparently, everybody was at Jamie’s panel or in one of the other rooms. As I really wanted to have a quick interview with Natasha about Freelancers Anonymous, I took the opportunity to talk to her about it. She said she wanted to but that she could not do it at that very moment. She thanked me for trying to promote new LGBTQ+ projects with my channels, which was amazing. I gave her my card to give to her agent, so we could make it happen. After that, I talked to Holly, one of ClexaCon’s directors and I learned that they as an organization really like what I do with my blogs, vlogs, and social media posts about ClexaCon. That gave me such an intense feeling of happiness you guys. I can’t explain. I was allowed to go “backstage” and talk to Natasha. She answered a few questions about Freelancers Anonymous and made sure everybody watching pre-ordered the movie (the interview was released three days before the release date). You can read it here: Freelancers Anonymous: The New Queer Movie for Everybody. Also, you can watch the video below. I’m not going to lie; I was a little emotional after that afternoon. I missed Jamie’s panel but had so much in return. That Sunday, I had a few more interviews. I did not see much of the con anymore because I already had to leave at 3 pm. PS here are my interviews with the team behind I Can’t Think Straight, Nicole Pacent, Mandahla Rose, the writer and producer of Different for Girls, and the directors of ClexaCon.